Tagged with British Council, Global Study Awards. The winners of the latest round of the Global Study Awards have been announced, with students from Somalia and the Netherlands scooping £10,000 to put towards their studies. The Global Study Awards were established in 2015 by British Council IELTS, International Student Identity Card Association and Studyportals to encourage and support more people to undertake study abroad. The awards are open to students over the age of 18 from any country in the world who have taken the IELTS test. Awards are granted to applicants whose determination to make a positive contribution to society is deemed exceptional, and whose commitment to intercultural understanding encapsulates the spirit of the Awards. “The Global Study Awards receive applications from some truly inspiring individuals, who have an international outlook on the challenges facing the world today and are already actively engaged in development or social issues,” explained James Shipton, head of IELTS at British Council. Somalian student Rahma Ahmed is going to use her award to support her master’s in Computer Science at Carnegie Mellon University Africa in Rwanda, while Camila Bennink from the Netherlands has applied for a bachelor’s degree in Humanities (Philosophy and Theology) at Oxford University. 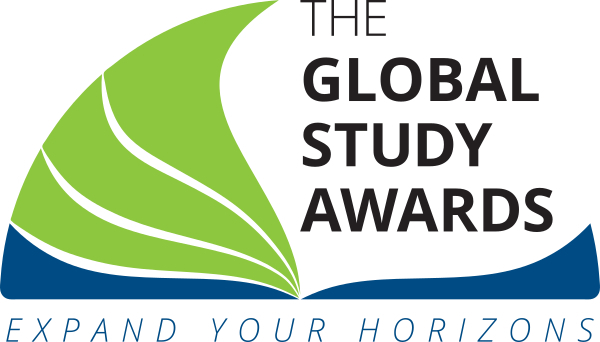 The two Global Study Award winners join an impressive list of past winners from around the world, including students from Brazil, Germany, Hong Kong, India, Kenya, Malaysia, Myanmar, Palestine territories, Taiwan and Uganda.